I am Ife Grace Dada . A faith blogger with a passion to contribute my quota to the body of Christ. 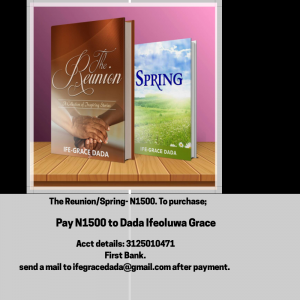 I am also the author of two books: The Reunion and Spring. I love to tell stories that address different life issues all from a biblical perspective and this is one of the reasons that informed my decision to take a journey into blogging. As an adolescent, I found comfort and joy scribbling stories which I shared with my other classmates. My journey into writing took serious turn when I accepted Christ into my life. I became passionate about spreading teaching centered around Jesus through my experiences and stories made out of my imaginations. 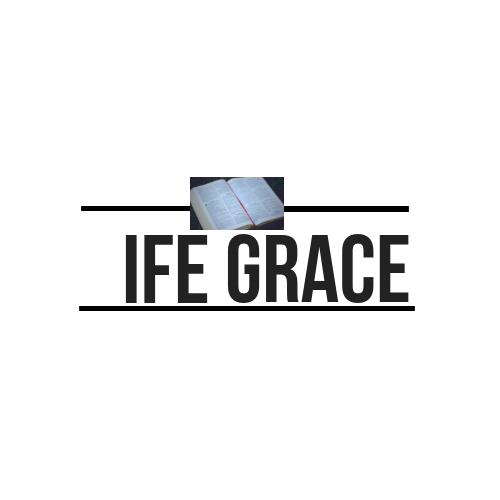 And this is what ife-grace hopes to give to you. Receptive insight into different issues: from relationship, lifestyle, spiritual matters, career, name it…through the medium of story telling. Here on this blog, you will find Interesting, engaging and refreshing stories that will inspire you. Do subscribe to this blog to get notified of weekly posts.